Ever had a catchy tune you just couldn’t get out of your head? Well, the experts at Earworms have harnessed this cognitive rhythmic phenomenon and applied it to language learning. Earworms layers vocabulary exercises over melodic, repetitive beats, anchoring essential words and phrases rhythmically into your long term memory. No more hacking and gacking when trying to find the bathroom in a foreign country! 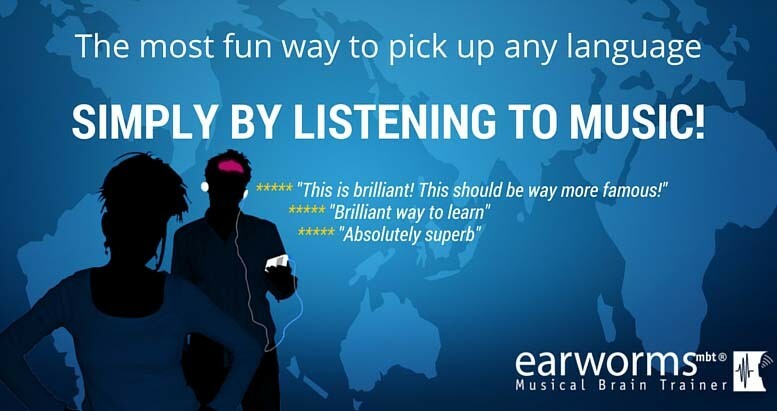 All you have to do is download Earworms MP3s to your PC/Laptop or Mac, transfer to your personal listening devices and go! 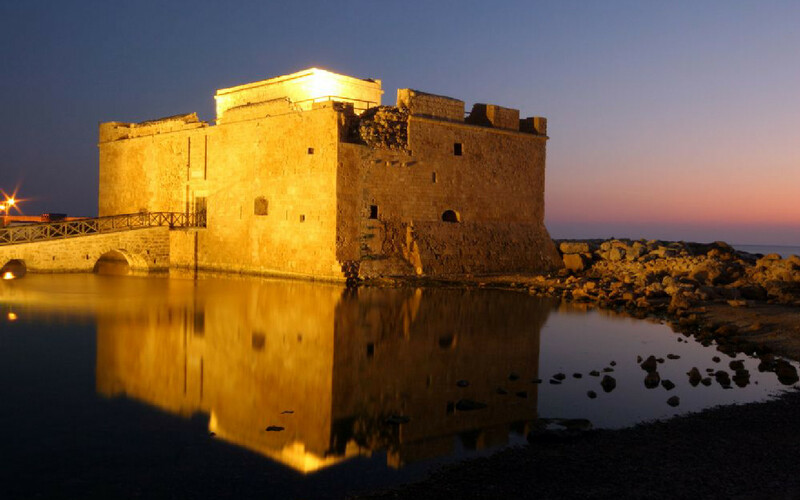 Choose from a wide range of languages, including Greek, Russian, Chinese, Polish, Spanish, French, Italian, Japanese, and Arabic. Each download provides you with the skills to learn both the travelling basics (where is the restaurant) as well as more conversational terminology (dinner party schmoozing). So grab this deal today and learn the languages you’ve always wanted to! Have you always wanted to learn a new language, but been afraid you just don’t have the knack for it? You probably just haven’t been given the right learning tools yet! The revolutionary Earworms Musical Brain Trainer will help you become the language expert you’ve always dreamed of! 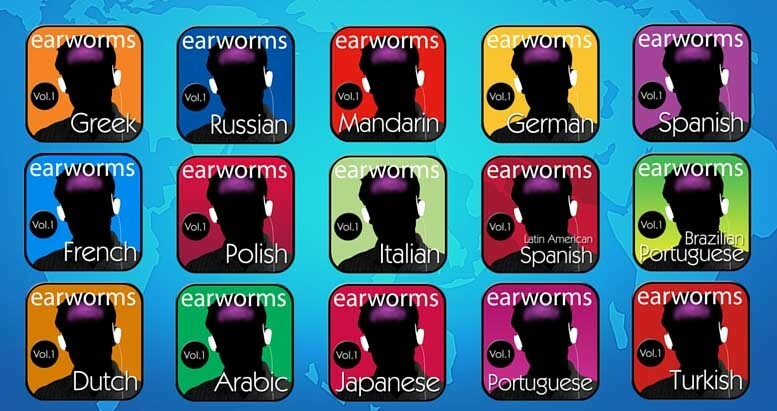 Thanks to Daily Deals you can download your choice of 16 language titles from Earworms for just €6 instead of the regular €12.50 to enrich your life and easily learn a new language with mesmerizing audio music lessons! Earworms harnesses the same cognitive phenomenon as catchy music to help you learn!